tEnable in simple words stands for telephony enablement. It makes the customer experience rich and allows them to connect with the brand or organization by enabling voice over the CRM applcations. 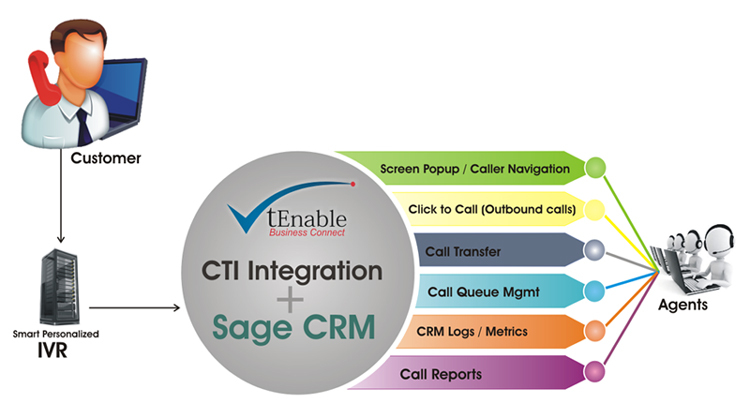 tEnable is designed and currently customized to work with Sage CRM.